Yey! It is just three days before the much awaited event of the year. On Monday, we will see this country's president do what he does best in front of national TV. 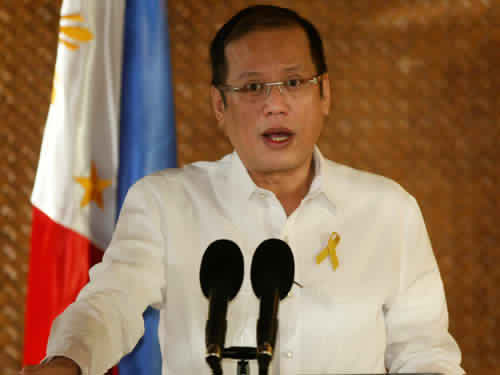 Benigno S. Aquino (a.k.a. Noynoy) will be giving his second State of the Nation Address (a.k.a. SONA). 1. I successfully received a Porsche from a "friend." The Porsche is a boost to our economy because the Porsche allowed me to cruise around the city without the need for the government to buy a new car. Rest assured that my Porsche has no wang-wang. 2. In the first year of my presidency, I successfully dated at least three girls. They did not become my girlfriends, however, and I blame the media for always checking on my love-life. I promise that I will date more than ten girls in the next year of my presidency. With the help of my Porsche, I believe that we can achieve this objective. 3. Many people say that I stay awake until wee hours of the morning because of playing computer games. That is true and I say that is necessary for the honor of our Nation. I proudly announce to you now that I am the new champion in DoTA and I successfully defeated gamers from other country. Sacrificing the hours of sleep of me and Malacañang staff is not in vain. 4. I am glad to announce that my sister Kris is not interfering with my Administration. She is now interfering with the affairs of Senator Chiz after she failed to interfere with Jojo Binay's life. 5. My administration believes in the saying that "two heads are better than one." That's why I applied it on various agencies of the government to improve the flow of work in my Administration. I am glad to announce that the DILG has two heads while the Communication Group is headed by three competent chiefs. I promise to double the number of Department secretaries to sow more confusion in the future. 6. I am also pleased to announce that my Administration successfully replaced the cronies of the old administration. My Administration has new cronies and the people affectionately call them as KKK. The name KKK sounds like the name of the revolutionary movement of Andres Bonifacio. Naming my cronies to Bonifacio's group shows how much the people love my KKK. 7. I am pleased to announce that I am the most hardworking president that the Nation ever has. I already attended to 1,000 speaking engagements, I wrote 500 speeches and I cut 99 ribbons. I promise to top all of that in the next year of my presidency. 8. I am pleased to announce that under my Administration, many famous people visited our country. Justin Bieber and Miley Cyrus are few of those famous people. This goes to show that my administration curbed insurgency and terrorism because they are not afraid to visit our country. 9. There are many problems and challenges that we faced in the first year of my Administration. The main problem that we encountered is the decrease of my approval ratings. We had discovered the source of that problem and all the problems of our Nation and that is the Arroyo Administration. My first year in office is just a preview of many good things to come for the Filipino people, who are my “boss.”. I promise that I will continue to work through the "matuwid na daan" without using any wang-wang. I promise that my Administration will top all the acheivements of the Arroyo Administration. Oh, I almost forgot. My Administration is also busy in excavating the corrupt practices of the previous administration. Just watch those exposes in TV. And please ignore my incompetence and my love-life. Thank you and good night. Babalik pa ako sa paglalaro ng Grand Theft Auto. Visit Ahab Reviews and Tips and learn how to avoid canine leptospirosis. Aiyor...looks like it's the same there as well as in my country. I only pray that there will be love and peace always...and may God forgive those concerned of their wrong doings and the He will forgive mine as well. tiyak laman ng SONA ang mga pasaring sa dating pangulo..
Ako po gumawa nito. My own version of Noynoy's SONA. Good thoughts STP. That is what I am also thinking. But there are hardheaded people who don't listen to God anymore and want to do things their way. Oo naman. Kaya nga hindi dadalo sa SONA si Gloria eh.